Renegade Kid's co-founder Jools Watsham has been teasing it on his twitter for weeks, but the studio has finally announced their new 3DS FPS: Moon Chronicles. It turns out that the new game in the Moon franchise is actually a remake of the original DS game, and a sequel, in the form of an episodic series. Renegade Kid has completely recreated the cult-classic DS shooter, with brand new graphics, gameplay and controls tailored to the 3DS. The first part of Moon Chronicles will hit the eShop sometime this spring, consisting of the first four chapters of the game and the VR missions. This initial episode will cost $8.99, with each of the three additional 2-mission DLC chapters costing $1.99. The original Moon will be released over the course of 2014, with the episodic sequel planned for sometime in 2015. I'm a big fan of the original game which was really ahead of its time, so I'm pretty excited to hear that we're getting both a remake and a sequel. 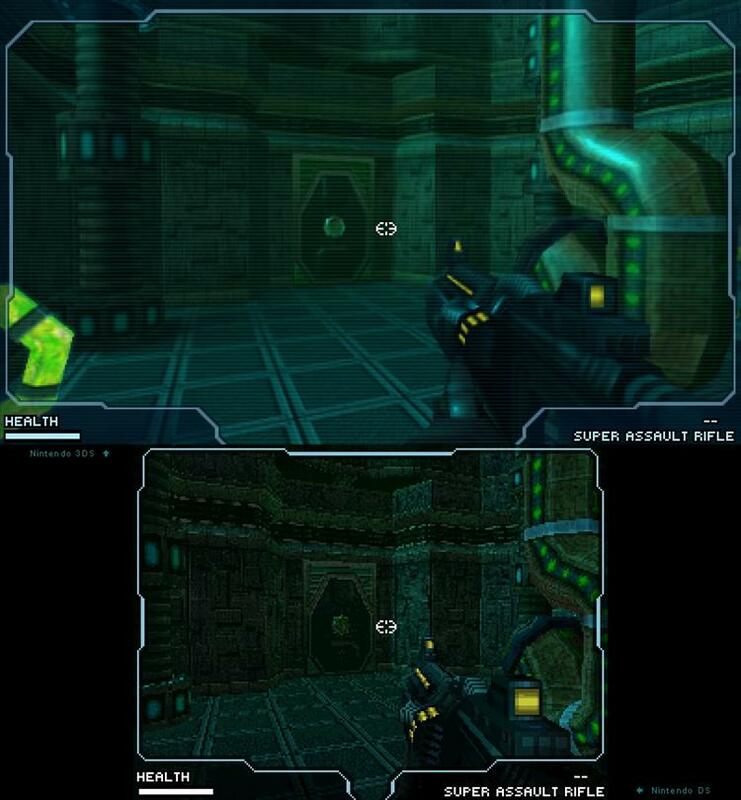 The comparison screenshot below shows just how much they've improved the graphics. The DS game was impressive on that hardware, but the 3DS remake can bring Moon to its full potential.